Not that many years ago Washington’s legislature was covered by more than 30 journalists from around the state. Now that number is eight. The Seattle Times no longer has a bureau on the east side of Lake Washington, and a print Post-Intelligencer no longer exists. Who will give us information and investigation when the papers have all gone? 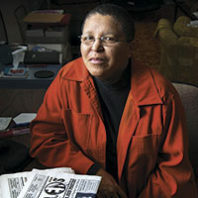 Read “Paper Cuts” by Hannelore Sudermann in the Winter 2009 issue of Washington State Magazine. Click a newspaper or online news source on the map below to read about changes in Washington state media.